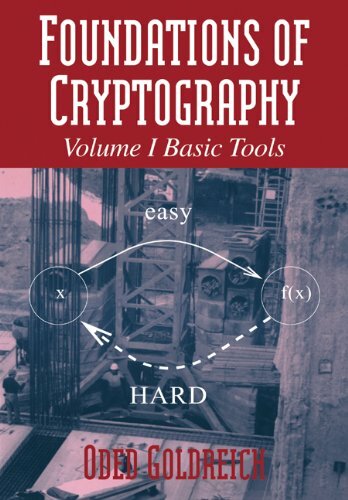 The book presents complexity research which gives the mathematical underpinnings for cryptography; this includes one-way functions, pseudorandom generators, and zero-knowledge proofs. Throughout, definitions are complete and detailed; proofs are rigorous and given in full. This book describes several encryption programs for various ciphers, along with how to write programs that can break these ciphers. The book is for complete beginners, it will teach you how to encrypt and decrypt messages. This is an introduction to cryptography for programmers; it doesn't aim to teach the theory, but rather to guide you in your attempt to understand how to use cryptography to secure your services. We'll illustrate it using the Go programming language. Introduction to cryptanalysis, monographic, polygraphic, and polyalphabetic substitution systems, transposition systems, analysis of code systems. Text also contains exhaustive material to aid in the solution of cipher systems.